I knew I would love Ronda before I ever got there. I fell in love with the city from reading Nick Bantock's The Forgetting Room. 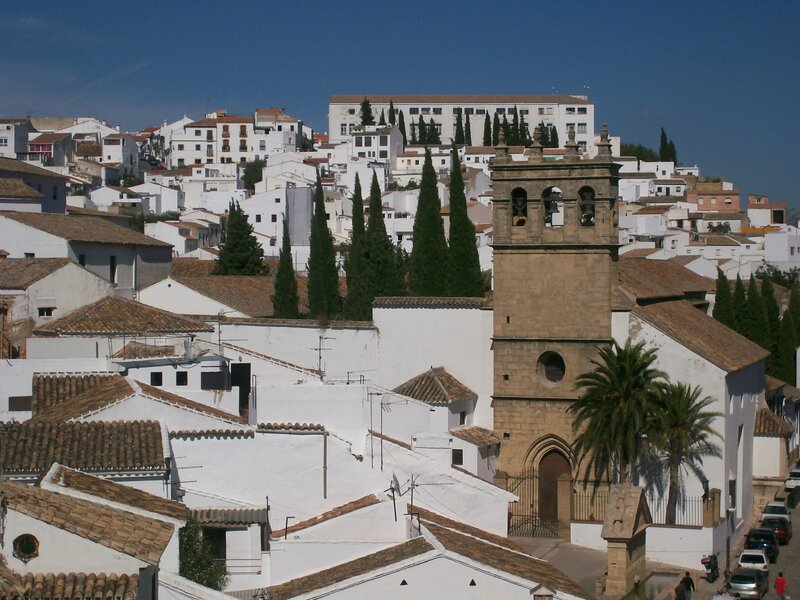 His protagonist is an American bookbinder who inherits a home in Ronda after the death of his artist grandfather. The grandfather has left him clues that lead him to remember how he had loved art as a boy. 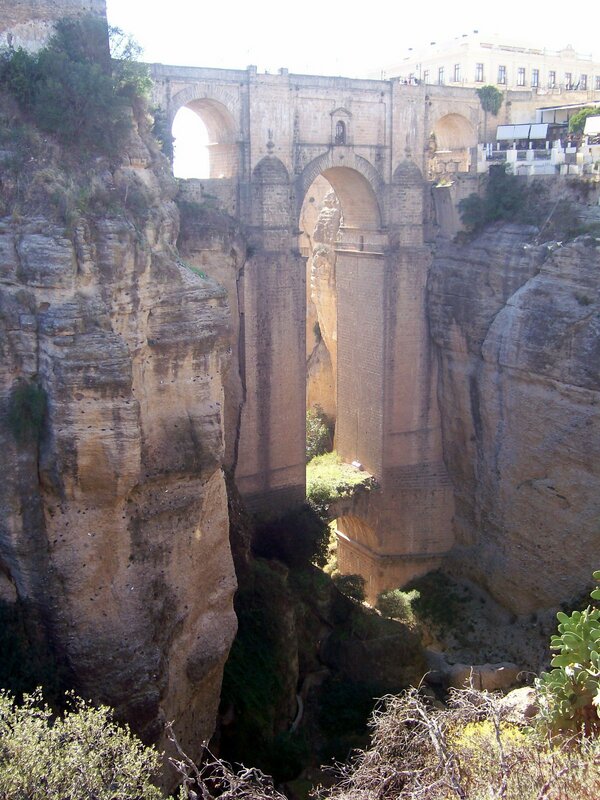 The city of Ronda is built on a high mesa with the old medieval town connected to the newer part of town over the bridge in this photo. Bantock's character becomes obsessed with drawing and painting this bridge. Who can blame him? All of the buildings in Ronda are painted white and have tile roofs. The streets are paved with flat stones. This photo shows the newer part of the town and was taken from old town. Even though much of the new town was quite old, I preferred the old town much more. It was easy to imagine that I was back in the Middle Ages as I wandered around. It is easy to see from this photo that Ronda was pretty secure from attack except from the bridge and the road at the other end of the old town. Most of the edge of this cliff is park so I was able to walk along the top and enjoy the view below. I could see for miles in all directions. 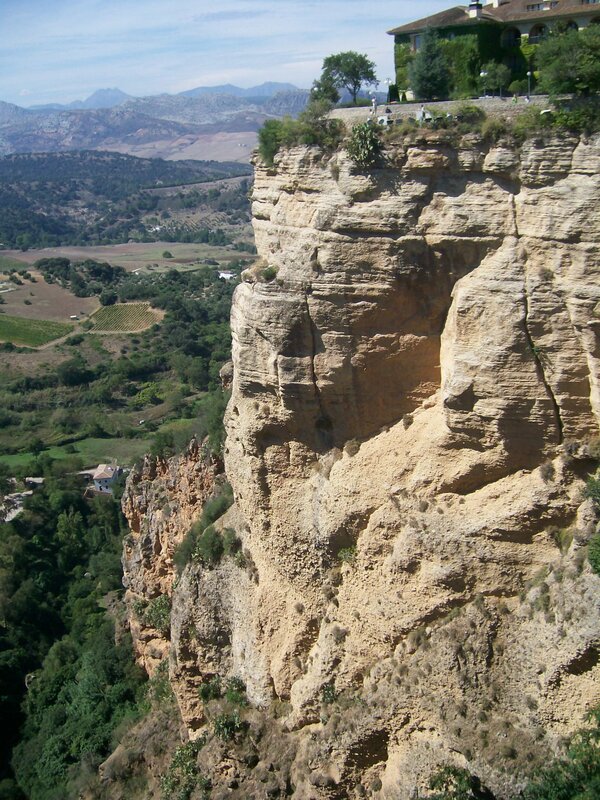 There is a river that divides the two mesas that make up the town. I climbed down a scary almost vertical tunnel cut through the cliff to give access to the water of the river in case of siege. The climb down took a long time, but up was much worse, of course. I enjoy finding "dream homes" when I travel - places I would like to live, assuming that money was no object. I found this one just at the bottom of the cliff pictured in the photo above. 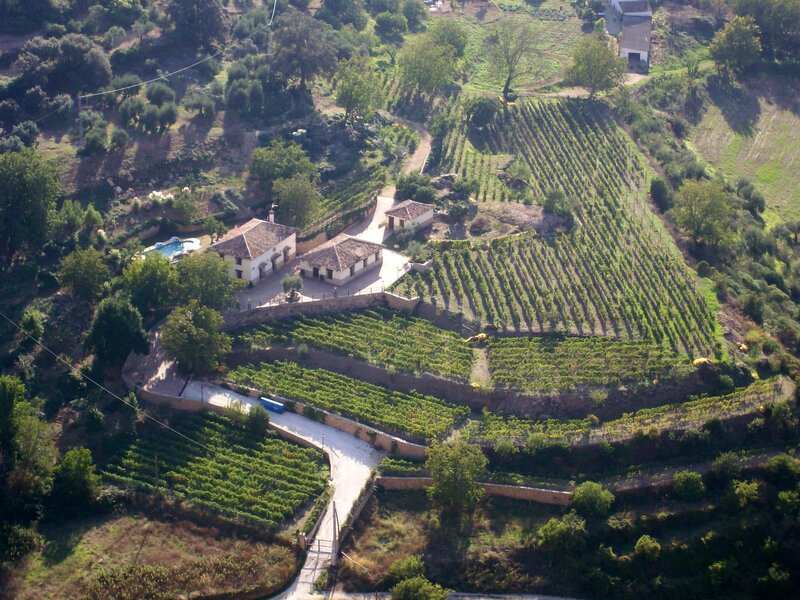 A river flows by just out of sight so there should be lots of water for all my grapes. I think I could be happy in my little stone cottage with a nice pool to keep cool on those hot summer days. 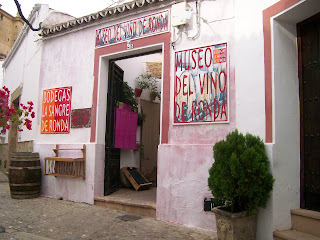 Just to be sure I learned what I'd need to know for growing my grapes, I made sure to visit the Museum of Wines of Ronda and tasted all that they had to offer. 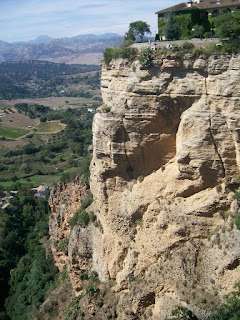 I really enjoyed my visit to Ronda and wish I had been able to spend more time there. Maybe some day I could rent a little house for a summer to really get the feel of living there. Good work friend. 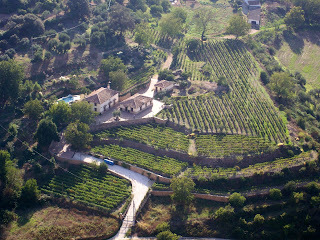 Ronda is a nice city in Spain for visiting. I must visit in this city after complete my grand canyon tours. Thanks a lot for your nice and informative sharing. I love to travel this city because this is one of my favorite cities. I have been visited this region about a year ago with my friend and found it amazing. It is famous as the birthplace of modern bullfighting, today glimpsed once a year at the spectacular Feria Goyesca.